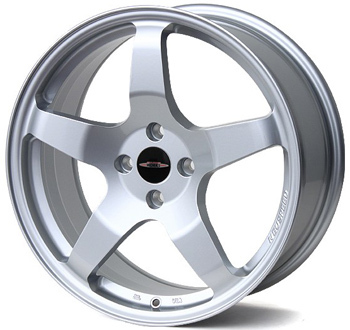 ModBargains.com offers GREAT prices on our full line of NM Engineering RSe05 Wheels. Order Online or CALL 714-582-3330 to speak to one of our Modification Experts today. FAST & EASY SHIPPING! 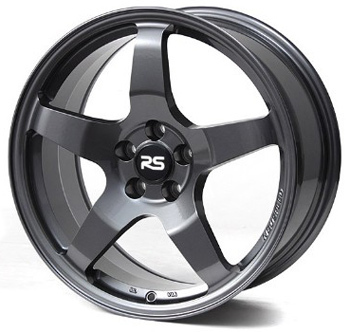 The NM Engineering RSe05 wheels are made as a lightweight, performance-enhancing product for your European car. They are ridiculously light and give your sporty car a more edgy look without breaking the bank. The five spoke design is made to be angular and more aggressive so your car will not only perform better, but look like a show-worthy ride. Weighing in at only 16.5lbs each, the NM Engineering RSe05's are extremely light and allow your tires to get spinning faster. When you have a lighter wheel, it means that you have less unsprung mass, which includes your tire, wheel, rotor, hub, caliper, and a few other small parts near the contact point of your car. Less unsprung mass allows your car to accelerate faster and last longer because of so much less stress being on the motor. And that allows for better handling in the long run because of having less momentum that would come from heavy wheels in the corners. 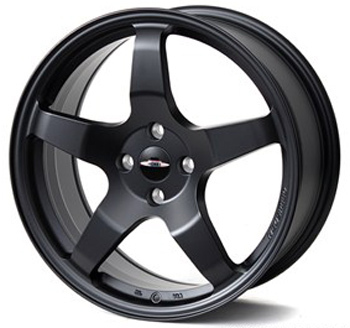 So overall, these wheels will make your car look great, perform faster, and handle like a champ. If you're interested in getting a set of NM Engineering RSe05 Wheels, give ModBargains a call at 714-582-3330 to make an order or talk to one of our product specialists to get any questions answered about any of our other products. We would love to talk with you.